This is the blog version of the review. Be sure to check out the Youtube video version below for additional commentary. 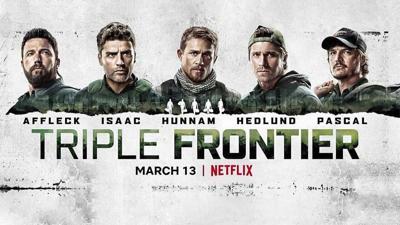 Triple Frontier is a Netflix produced movie that debuted in march 2019 starring Ben Affleck and Charlie Hunnam. The movie is about a group of former Special Operations soldiers who bring the old gang back together to rob a South American cartel boss. Despite bad reviews from a lot of my friends, I actually enjoyed it. I think part of the reason for my enjoyment was based on the fact that the entire movie symbolizes the struggle I’m helping a lot of men with. No, I don’t have a bunch of clients taking down drug lords. Only a few are doing that. Most of my guys are just stuck in dead end positions in life and yearning for something more. That’s what this movie is really about. So, for a few minutes abandon any critiques of the military and tactical scenes in the movie. I know there are a lot of screw-ups there, and I’ve already discussed many of them at length with friends. I also want you to ignore the obvious errors in their trip across the Andes. We all know that it would’ve likely ended more like the movie Alive than the way it did like the series ending episodes of Prisonbreak. Let’s dive into a few lessons we can learn about careers and life from Triple Frontier. But first, a disclaimer- SPOILERS ABOUND. I will be giving away spoilers in this review. Always have a Plan B for everything. What happens if, all of a sudden, you can’t do what you want to for a living? It could be anything- injury, forced retirement, laid off, economy sinks, income or family changes, and more. Be careful what you do when you find yourself yearning for more. Be sure that you do something that matters to you. Ben Affleck’s character was miserable selling real estate, but I have friends that find great fulfillment in the same occupation. Always try to properly identify your specific trouble points. For example, you could ask each of the main characters in the movie- I’m having trouble adjusting to life without _____________________. Be careful when you find yourself replacing your old lifestyle with something dangerous or potentially addictive. 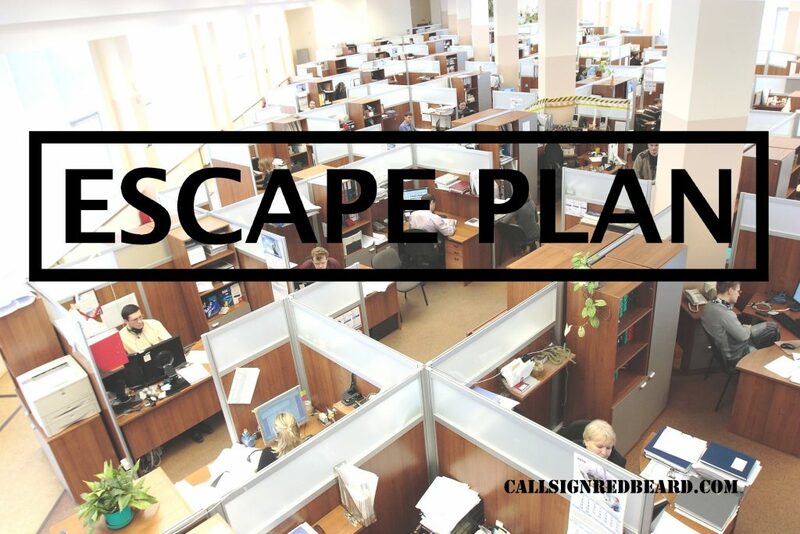 Many people use this as an escape mechanism. It’s not always bad if you do this, as long as it doesn’t take over. Your life will go awry if you lose your focus, change your rules for bad reasons, or betray your values. Ben Affleck’s character is a model for this negative cascade of events. There are a lot more lessons I could impart from the movie, but I’ll finish with one more. Ben Affleck’s character was the one in which I saw the most evolution. In fact, he’s a poster child who represents many of my clients in that he possesses an amazing specific skillset but can’t find a place to apply it outside the realm of his job. In the movie he was a master tactician. He was so good in fact that other members refused to sign onto the job without him. There are so many places and ways he could have applied these skills in the civilian life, but he just couldn’t. He just couldn’t quite figure it out. Because of this he ended up in a job he hated, divorced, running around in the jungle stealing money, and murdering farmers. really hope this isn’t going to be you as well. I also hope you don’t stay in the position most men do who don’t take off for the jungle drug lord money hideout. Most men stay in jobs that slowly corrode their souls and steal their happiness. Don’t do that. My job is to help men create Escape Plans so they can move away from lives like that without sacrificing everything to do so. After all, there’s not much point in escaping if you do it the wrong way and have to go right back to it. That’s what happened in the end of the movie. Each man ended up having to go right back to the old life.